The 'Shutdown' MC almost called it quits. 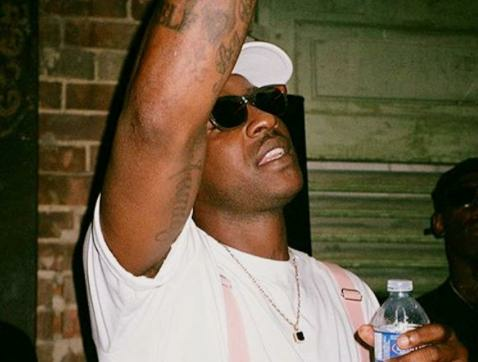 Skepta has revealed that he almost retired from music after getting a shout out from Adele on Twitter. The Grime MC, whose album ‘Konnichiwa’ is nominated for a prestigious Mercury Prize, has spoken about his amazement at being honoured by the ‘Hello’ singer. “She gassed me up. One day I was just chilling and she [tweeted] a picture that said 'Tottenham boy' and she's from Tottenham as well,” he told IBTimes UK. “I was actually going to quit music that day, that was one of the sickest things ever. She's like the lady of Tottenham and she called me 'Tottenham boy', so I might as well quit." Speaking about their shared connection, he added: “I believe in signs but being myself is the best thing I could have ever done because of Adele, that is nice for me." He added: “That's another artist that goes through the same things as me, knows how hard it is. I love how she keeps herself to herself, she's not in the papers. Following Adele’s shout out on twitter, rumours began to spread about a possible collaboration between the pair. However Skepta is in no rush to make it happen. “We're both on the planet, hopefully something could happen in any way. I've met so many artists where I've thought, 'When I meet them I want to collaborate with them.' Sometimes, that's not always why you're supposed to meet." He continued: "Sometimes you could meet to give each other a good life talk, to push you in a better direction. Always going for the collaboration sometimes spoils it and I don't want to spoil it. "I want to meet her and be like, 'Yeah, I know her and she gives me good advice,' and I'll tell her certain things that she's worried about and vice versa." 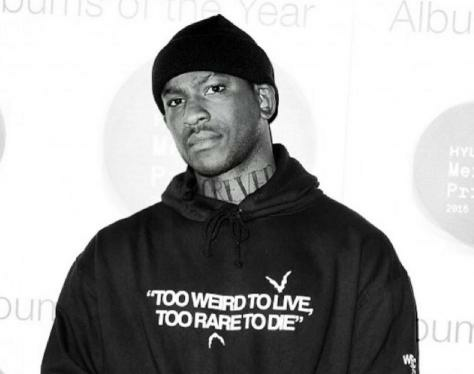 Skepta's latest album 'Konnichiwa' is nominated or a Mercury Prize alongside fellow Grime legend Kano - who received a nod for his recent album 'Made In The Manor'.